A recent report by Norfolk Country Cottages has named Sheringham and Heacham as the hottest spots for holidays on the North Norfolk Coast, with bookings to the two destinations up more than 50% year-on-year. We don’t let through Norfolk Country Cottages, preferring a local agency, Keys Holidays. They are based in Sheringham, and we feel that they offer more of a personal touch to our guests. That notwithstanding, we have also noticed an increase in bookings since we purchased The Prairie. When we were looking for a holiday let, Sheringham was top on our list. This was partly due to proximity to villages where my family live, but mostly because of the top attractions that Sheringham offers visitors. 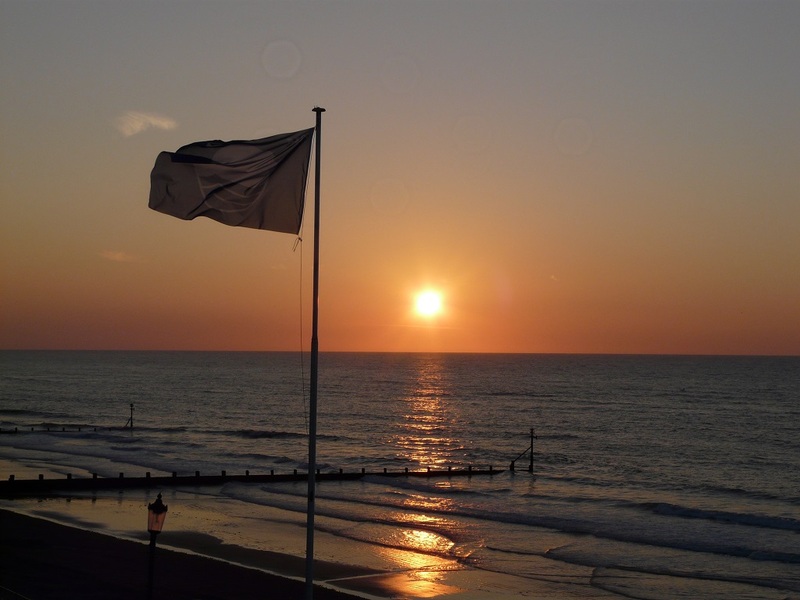 Sheringham Beach is one of four beaches on the North Norfolk Coast that regularly retains it’s coveted Blue Flag status for facilities and cleanliness, and it is practically on our doorstep. The promenade offers easy access for buggies and wheelchairs, and facilities include toilets, public showers, cafes, and a lifeguard service (on duty from the Spring Bank Holiday until the end of September). The beach is a little rocky near the promenade when the tide is in, but once the tide is out it exposes a lovely stretch of golden sand for sandcastle builders and sun worshippers alike. And unlike some beaches, it is sand all of the way down to the shoreline and into the sea itself, so very easy on the feet. 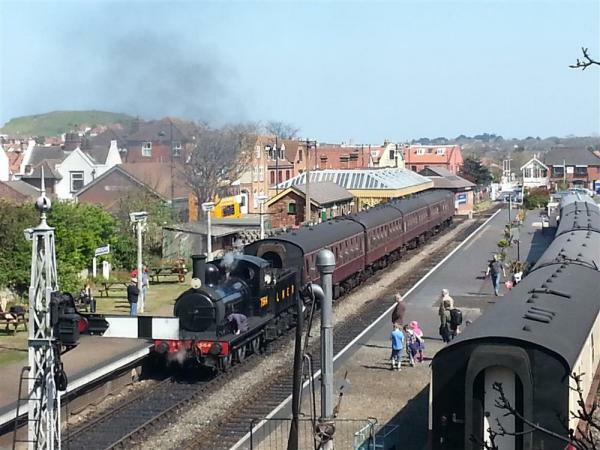 For me, the main tourist attraction in Sheringham is the North Norfolk Railway. 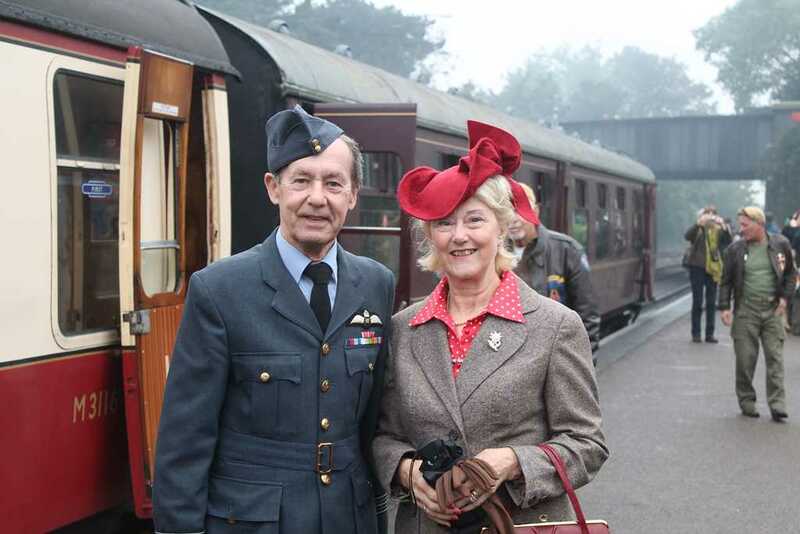 They run a regular steam and diesel service between Sheringham and Holt, and host a number of top notch events throughout the year for trainspotters and the nostalgic alike. Sheringham also has a fantastic theatre, the Little Theatre, right in the heart of the town. It’s home to one of the country’s oldest surviving summer repertory seasons, and hosts all kind of events throughout the year. It also doubles as a cinema, and has an excellent cafe, The Hub, which is open all day. Visitors to Sheringham can also visit The Mo, and the Henry Ramey Upcher Lifeboat museums, both of which offer a peek into Sheringham’s past. 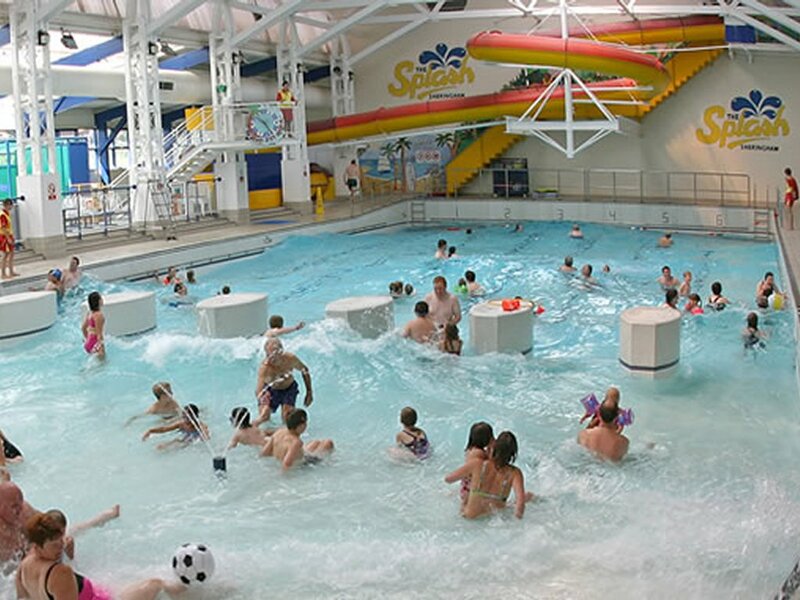 Children are well catered for, with the Splash Leisure Centre, which boasts a slide and a wave pool, and for the more adventurous, there is the Hilltop Outdoor Centre. Finally, for golfers, there is the excellent golf club. This is widely regarded as one of Norfolk’s best, and offers a spectacular sea view to golfers across the undulating fairways. Sheringham’s smack bang in the middle of the Norfolk coastal bump, so is in a perfect location for those who wish to explore Norfolk with easy links to towns on the coast road and those inland. 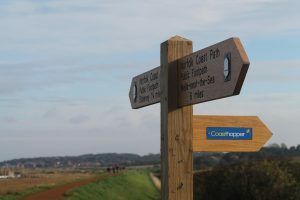 For those wishing to explore the wider area, Norfolk has plenty to offer tourists, with many excellent beaches; National Trust properties; Areas of Outstanding Natural Beauty and/or Scientific Interest; the Norwich 12; the Norfolk Broads; and the Sandringham Estate, all within an hours drive of Sheringham. For those who wish to ditch the car, there is an excellent train service to Norwich, and there are numerous and frequent bus services, including the excellent Coast Hopper. If you want to take Norfolk at its pace, we highly recommend the excellent Norfolk Coast Path. You can pick this up in Sheringham from the promenade, and is a great way to explore the surrounding villages. 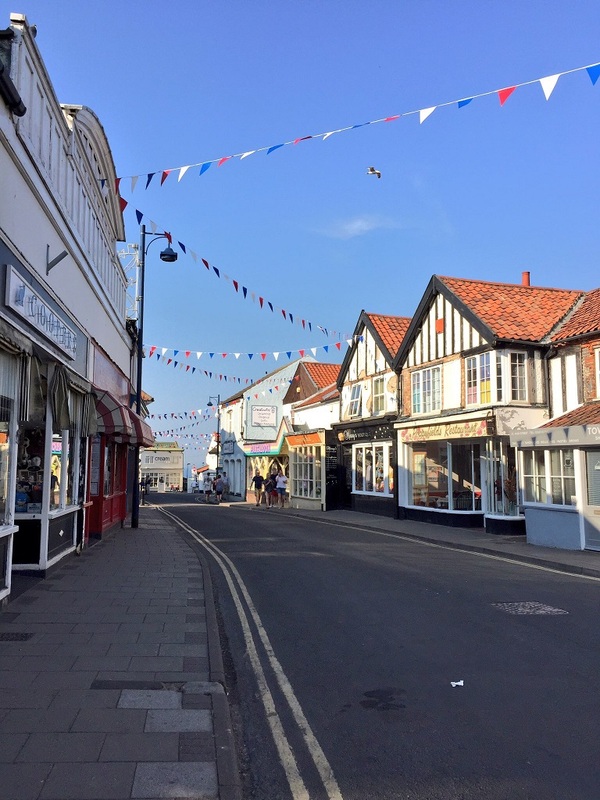 Sheringham Town boasts a couple of small supermarkets, banks, and high street shops, set alongside a host of shops offering local goods and produce, so there is no need to venture far for life’s essentials. The town is always well kempt, and has numerous places to eat and shop. Our favourites include The Lobster, and the Chai Yo Thai restaurant. There are a number of boutiques and galleries to peruse, and for younger visitors, plenty of opportunities to spend well earned pocket money in toy stores and sweet shops. And unlike many coastal towns, Sheringham never really closes for business out of season. Of course none of this would make any difference but for the annual community events that draws tourists to Sheringham, organised by the North Norfolk Railway, the Sheringham Carnival Committee, the local council, and local businesses. The big ticket events are the Sheringham Carnival at the end of July, and the 1940s Weekend mid-September. However, there are plenty of other events to fill your calender with including vintage transport festivals, numerous steam galas, the Crab and Lobster Festival, Morris Dancing, the Summer Repertory, and the Viking Festival, to name but a few. There is a great sense of community, with many of the local businesses getting involved, and for the 1940s Weekend, really making an effort to transport guests back 70-odd years by decorating their shop fronts and dressing in period costume.